I have been working hard on some new items for this Sunday’s show in Ann Arbor at Kerry Town Market. There will be a seperate section at the market containing 40 some Etsy shops, how cool is that? 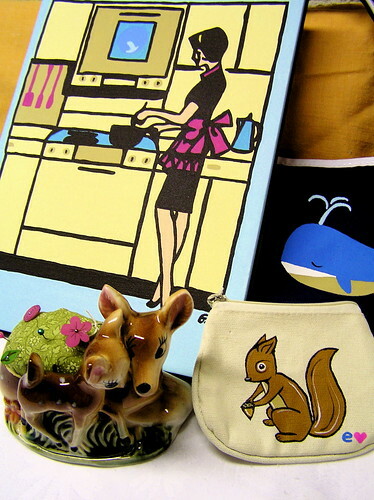 “Kitschen” painting, Deery Love pincushion, Baleen handbag and Shirley Squirrel coin purse.